Beker Fashions, dating back to 1923, has had a rich and colourful history. From its humble beginning as a ladies suit and dress firm, the company has evolved to being a leader in special occasion wear in Canada and the United States. Under the leadership of Ron Beker and the late Abby Beker, there has always been an emphasis on maintaining a close relationship with their customers and suppliers. The Beker headquarters is located in Toronto, Canada and houses all facets of creative design, production, quality control and distribution. 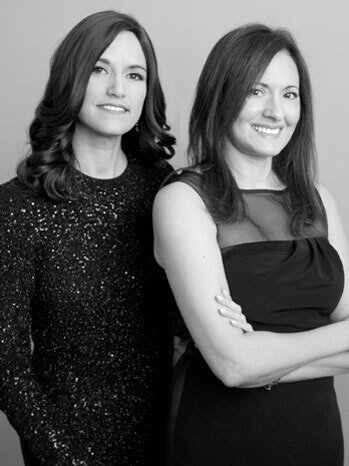 The Frascara design team is led by the duo of Francesca Mammoliti and Cindy Fine. Both designers have a complimentary working relationship which has resulted in elegant, stylish and innovative designs. Through their extensive travels to Paris, London and New York, they have captured the essence of the Frascara woman − confident, refined, and chic. With an emphasis on luxurious European fabrics and fine couture-inspired detailing, the special occasion collection is feminine and glamorous for todays modern woman.